Above, the gate to the Pewee Valley Cemetery today. 2016 photo by Donna Russell. Below, the cemetery gate as it appeared in 1989. Photo by Carolyn Brooks for the National Register of Historic Places submission. 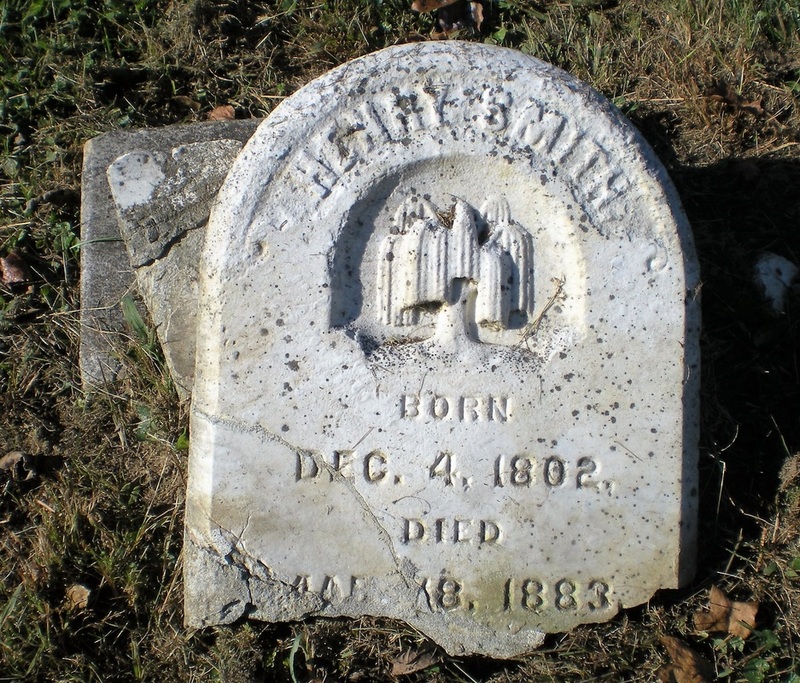 In May, 1871, after Pewee Valley officially became a city, Henry Smith “engaged the attention and enlisted the interests of a number of other eminent citizens of the place in the laudable undertaking of establishing a Public Cemetery,” according to “Reports of the Pewee Valley Cemetery Company,” issued in 1887-88. On August 3, 1871, the committee purchased 14.25 acres at the end of Maple Avenue from George Washington Curl. That purchase was funded by Stephen and Ellen Schuler, who eventually sold the land to the Pewee Valley Cemetery Company for $400 on September 23, 1889. The Curl house still stands at the corner of Maple Avenue and Old Floydsburg Road. Both Samuel Henry Curl (September 30, 1841-September 7, 1894) and his father, George Washington Curl (December 20, 1813-February 5, 1885), who sold the land for the cemetery, are buried there. Samuel is buried in the Confederate Burying Ground. September 2017 photo by Donna Russell. 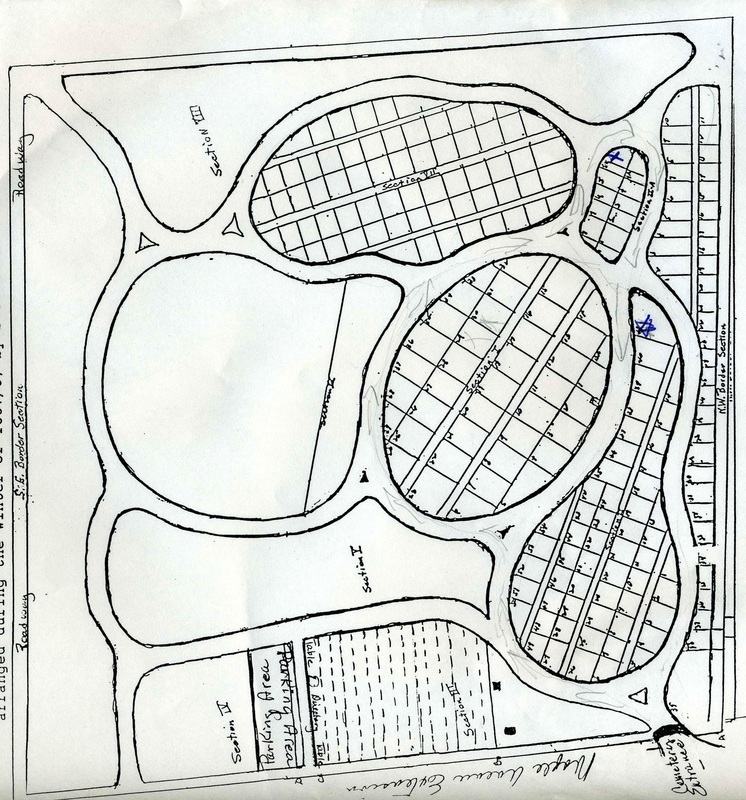 Cemetery plan, courtesy of the late B. Utley Murphy, who served on the Board of Directors for many years. 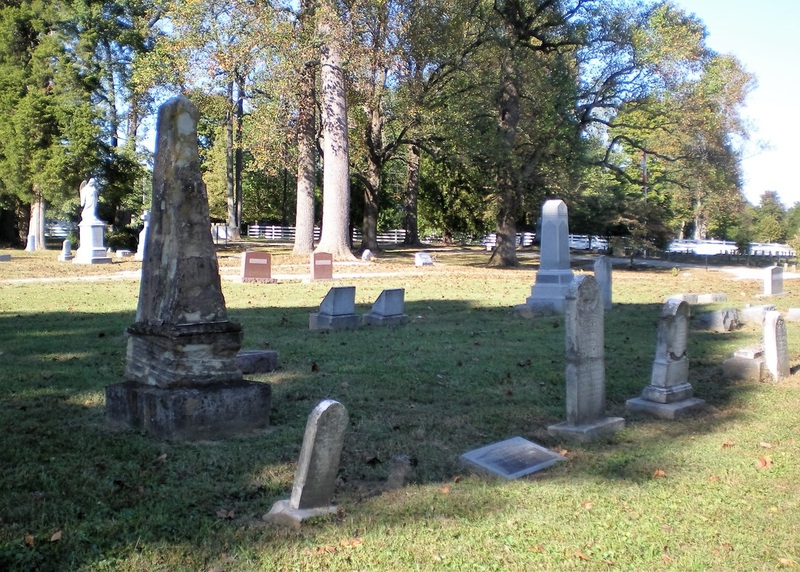 Some people believe that a portion of the acreage on the far eastern side of the cemetery may been in use as a burial ground since the mid-1800s. Some 80 unmarked graves from the period before the cemetery was officially incorporated are located in the rear of Pewee Valley Cemetery East. The dead were buried without caskets or markers, other than rocks. They may have been slaves, freedman or victims of the 1849 cholera epidemic. However, nothing has been found in the historical record to support this contention. In the spring of 1872, the sections were shaped and partially graded, staked off into lots and planted with shade and ornamental trees. The design work was done by Peweean Stephen Schuler, a landscape architect who lived at the corner of what is now Houston Lane and Rollington Road. Judge Peter Brown Muir, from "Lawyers and Lawmakers of Kentucky," by H. Levin, editor. Published by Lewis Publishing Company, Chicago in 1897. AN ACT to incorporate the Pewee Valley Cemetery Company. § 1. That Henry Smith, J. H. Rhorer, and J. C. Stump, their successors and associates, be, and they are hereby constituted a body-corporate of the Pewee Valley Cemetery Company; and by that name they shall have power to contract and be contracted with, sue and be sued; use a common seal; make all necessary by-laws, rules and regulations, for its government, not inconsistent with law and the provisions hereof; and do such other things as are incident to such a corporation, and necessary to effectuate the object and purpose thereof, which is to provide a suitable and permanent cemetery at Pewee Valley for the burial of the dead. § 2. Said corporation shall have the power to take, acquire, and hold, by purchase, gift, or devise, for the purpose aforesaid, any quantity of land in the county of Oldham, and in or near the town of Pewee Valley, not exceeding forty acres, and receive a conveyance of the same in its corporate name, which land, when so conveyed, shall be held by said corporation for a cemetery, and shall never be alienated or used by said corporation for any other purpose; and said land and its appurtenances shall be forever free and exempt from all taxation, and from all executions, attachments, or other legal process, and from any charge, liability, appropriation, or assessment, to or for any public purpose, inconsistent with its use as a cemetery, for which purpose and use it is hereby forever dedicated. § 3. Said corporation shall cause a plat or plan to he made of the land so acquired by it, dividing the said land into suitable avenues, walks, and burial lots, and designating the said avenues and walks by name, and the said burial lots by numbers; which plat or plan shall be recorded on the books of said corporation, and on the records of titles of Oldham county. After the said land is thus laid off, the corporation shall have power to sell said burial lots in such manner, and on such terms, as may be prescribed by the board of directors of said corporation. § 4. 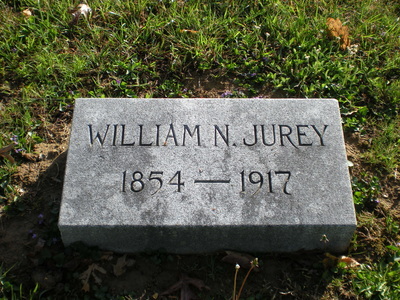 Each purchaser of a burial lot; in said cemetery, upon the production of a receipt in full for the price of the lot purchased by him from the acting treasurer of the corporation, shall be entitled to a conveyance of said lot, which conveyance shall be made by a certificate of the board of directors of the corporation, under seal of the corporation, and countersigned by the acting secretary of the corporation, specifying that such purchaser is the owner of such lot or lots, which certificate shall be recorded on the books of the corporation and on the records of title of Oldham county; and such certificate shall vest the fee-simple right and title in and to such lot or lots in the purchaser, his heirs and assigns forever, exempt and free from all assessments or taxations or executions, attachments, or other legal process, and shall have the same effect for all purposes as deeds duly executed, delivered, and recorded; but said lots shall be held by the purchasers thereof subject to the by-laws, rules and regulations, of the corporation and its board of directors; and said lots shall never be used by said purchasers for any other purpose than that of' burial lots; and if applied to any other use, the right and title thereto shall revert to the corporation. § 5. Each person receiving a certificate as aforesaid for one or more of the said lots shall thereby become, and be considered thereafter, a member of this corporation, and he shall be entitled to a vote in all meetings of the corporation. § 6. The affairs and business of the corporation shall be managed by a board of three directors, all of whom must be lot-owners in said cemetery. This board of directors may be elected annually by the members of the corporation, and may hold their office for one year, and until their successors are elected and qualified; they shall choose a president out of their number, and they may appoint a secretary and treasurer, who shall give such bond as they may require for the faithful performance of his duties. All vacancies in said board of directors shall be filled by an appointment made by the president. § 7. The board of directors shall make such by-laws, rules and regulations, as they may deem proper for calling and conducting their meetings, and for the transaction of their business and duties; they shall have control of‘ all the business transactions of said corporation; shall collect and expend for the said corporation all moneys; shall have complete control of the cemetery grounds and other property ; shall have power to enclose, improve, embellish, and adorn the cemetery grounds, and to prescribe rules for enclosing, adorning, and erecting monuments or vaults upon the cemetery lots by purchasers; and shall have power to prohibit any use, division, or adornment of a lot which they may deem improper, or may abate or alter the same. At the regular meetings of the corporation, which shall be called annually by the board of directors, upon such day as they may deem proper, the board of directors shall report their actions and the condition of the corporation. § 8. The persons hereinbefore named as incorporators shall constitute the first board of directors of the corporation. § 9. If any person shall willfully, and without lawful authority, violate any of the graves of the dead, or deface or remove any of the tombstones, monuments, or enclosures, or cut, break, or injure any tree, shrub, plant, or other ornament of said cemetery, he shall be deemed guilty of a misdemeanor, and besides being liable to the corporation, or to the owner of the lot injured, for the damage or injury done, he shall be fined not less than $10 nor more than $50 for each offense, recoverable by warrant before the police judge of Pewee Valley. § 10. This act shall take effect from and after its passage. 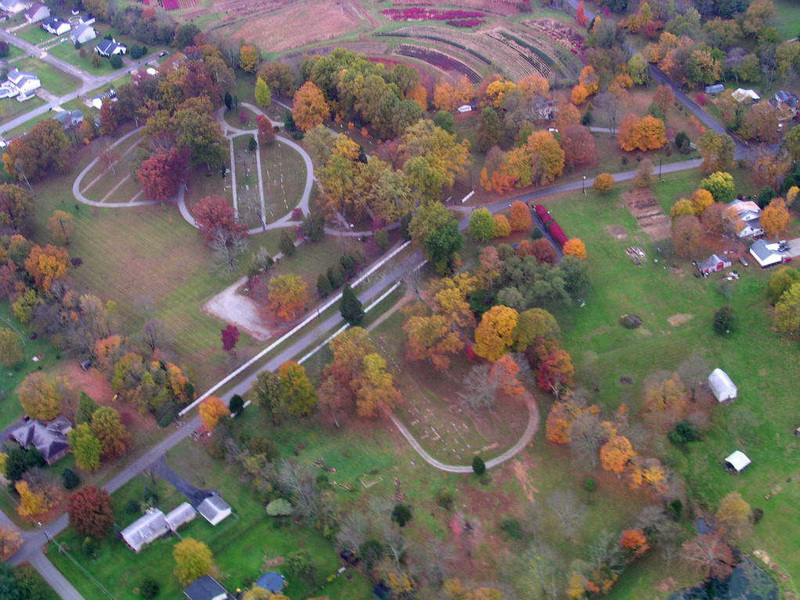 This aerial view of Pewee Valley Cemetery (top) and Pewee Valley Cemetery East (bottom) shows how Maple Avenue divided the cemetery in two. Photo courtesy of Norman Schippert. 1930s plat map of the Pewee Valley Cemetery showing Cemetery Avenue. Courtesy of Oldham County Clerk Julie Barr. The cemetery has undergone some major changes since Kentucky approved the charter. 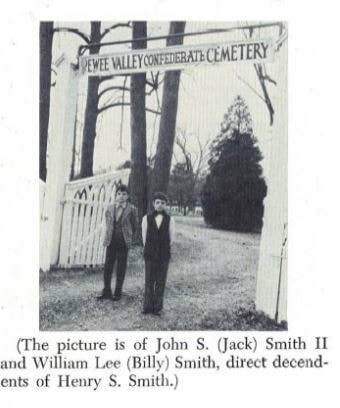 In 1872, an area of the cemetery toward the northeast boundary was set apart “for the purpose of a Burial-Place for the colored population of Pewee Valley and the neighborhood.” Today, that cemetery is known as Pewee Valley Cemetery East and is under separate management. 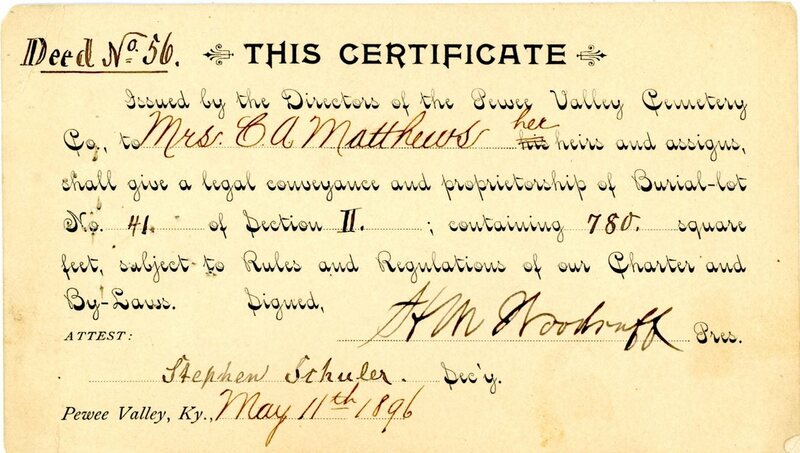 This deed to the Matthews Family plot at Pewee Valley Cemetery dates from 1896 and was signed by both Stephen Schuler and H.M. Woodruff, who were serving on the cemetery board at the time. 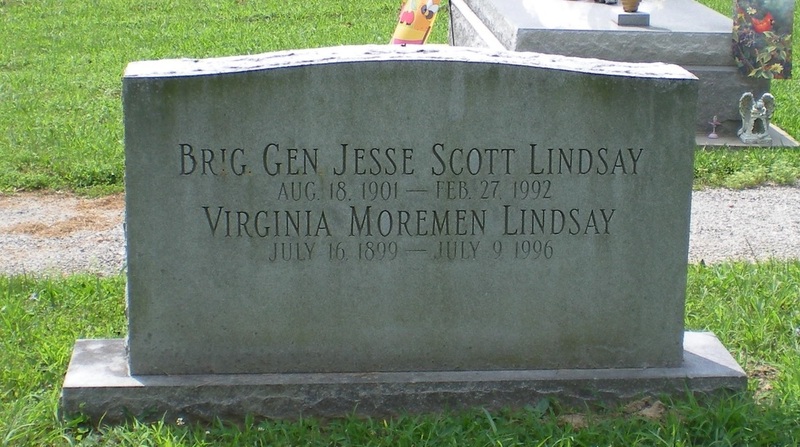 Both are buried at Pewee Valley Cemetery. Courtesy of Kate Matthews descendant Angela Lasseigne. Today, the Confederate Burying Ground is the only official state burial ground for Confederates in the Commonwealth and is on the National Register of Historic Places. Also on the National Register is the zinc obelisk placed in the burying ground in June 1904 and designed by Miss Florence Barlow, who worked at the Kentucky Confederate Home for many years. 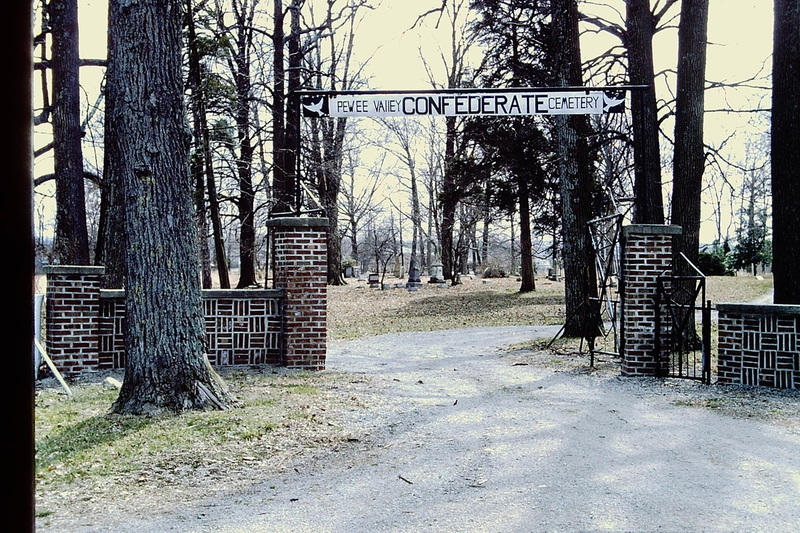 Pewee Valley Cemetery gate prior to the 1979 restoration. From the April 1974 Call of the Pewee. ... Inmates from the State Reformatory ... mowed and cleaned the premises, repaired and painted the fences, straightened the headstones, and removed a huge dead tree that threatened to crush many of the Confederate headstones had it fallen. Newly constructed brick pillars support the decorative iron gates ... two wide ones for the drive and a smaller one for foot traffic. The gates were designed and forged at the prison and are uniquely made from scrap iron and pipes. Beginning at the stone Catharine Logans now C. Stoess line and corner to J.F. Russell's heirs now Chas Stoess and running N 71W 24 poles to a stone cor. to Russell's heirs (Now Chas Smith and Bush); thence to S. 26 W 34 6/10 poles to a stone cor. to Bush, thence S 23 W 39 4/10 poles to an ash stump corresponding to Metz and Warren, thence S 70 E 37 poles to a stone in Metz's line, thence N 19 E 72 poles to the beginning, containing 14 1/4 acres more or less, being the same parcel of land purchased August 3rd 1871 by S.S. Schuler from G.W. Curl for the purpose of establishing a Public Cemetery. Henry Smith (December 4, 1802-1883) and his wife, Susan Wilson Smith (December 25, 1806-August 26, 1871). Though Noble Butler gave Pewee Valley its name, Henry Smith was truly its founder. He platted the town, laid out the streets south of the railroad tracks and planted the trees for which the streets were named. 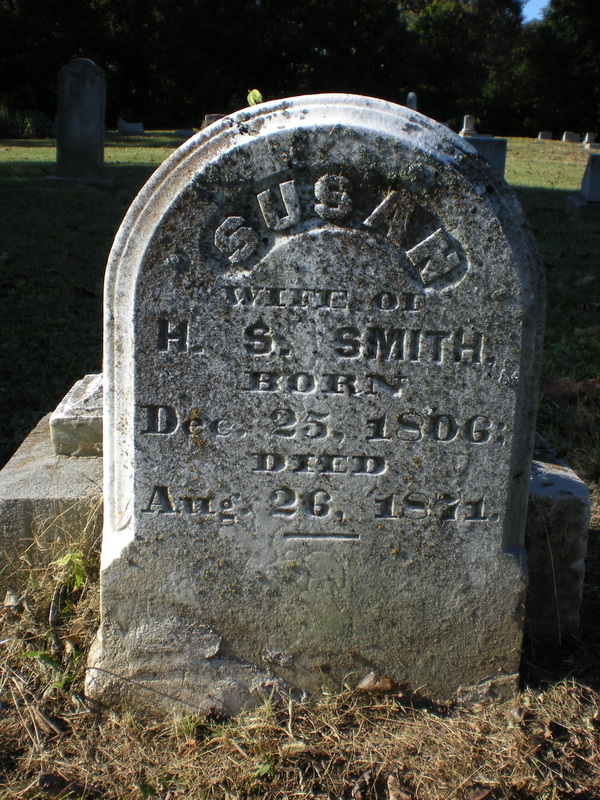 Susan Smith was the first person buried in the cemetery. Charles F. Smith (ca. 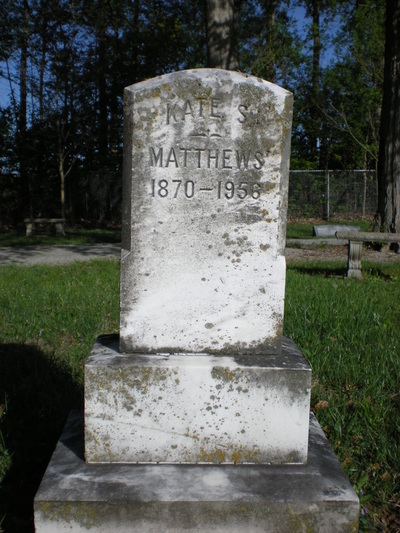 1828-February 28, 1887), son of Henry and Susan Smith, Pewee Valley’s first postmaster, and the man who put the "Smith" in "Smith's Station," the railroad's name for Pewee Valley. 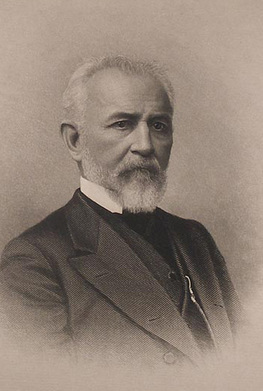 William Alexander Smith, son of Henry and Susan Smith and a wagonmaker by trade, whose architectural legacy includes Town Hall and his Italianate home on Mt. Mercy Drive. 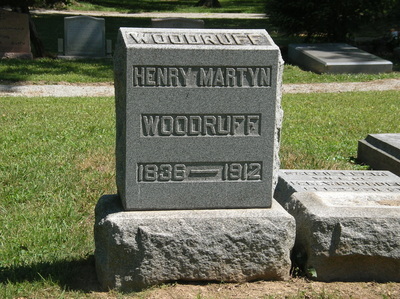 Henry Martyn Woodruff (1838-1912) and his wife, Sallie Elam Woodruff (1838-1910). 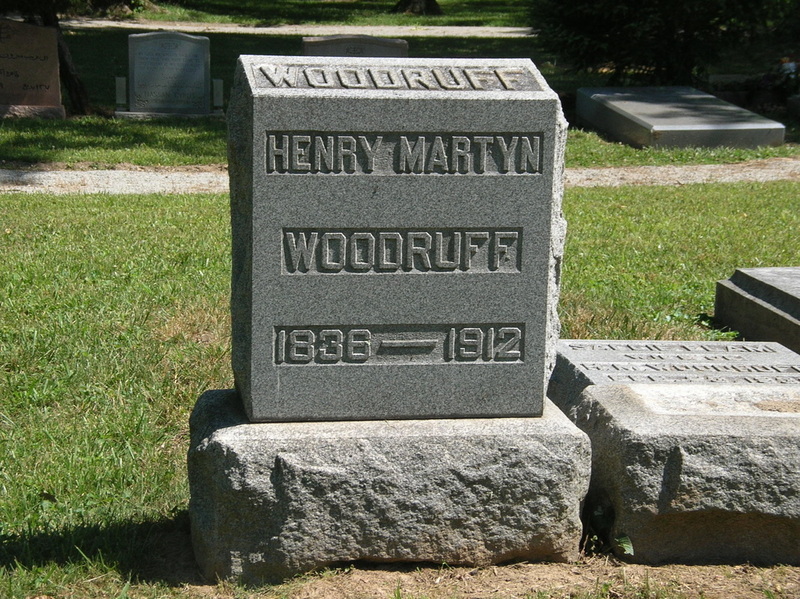 H.M. Woodruff owned the store at the corner of Central Avenue and Mt. Mercy (now the Pewee Valley Vet), served as the town’s postmaster and mayor for many years, helped pay for the train depot and was involved with many other civic improvement projects. William N. Jurey (1854-1917) and his wife, Mary B. Jurey (1861-1934), the town’s other major merchant and co-owner of Jurey & Harbourt’s General Store, now the Little Colonel Playhouse. He also rented the land to the City of Pewee Valley for Town Hall, sold two acres to the Interurban for the station and turnaround next to it and served as Pewee Valley Postmaster from 1893 to 1897. Kate Matthews, whose hauntingly beautiful turn-of-the-20th-century photographs of Pewee Valley are housed at the University of Louisville’s Ekstrom Library and can be viewed online. Stephen Schuler (December 26, 1926-February 16, 1913) and his wife Ellen (about 1829-December 26, 1891). 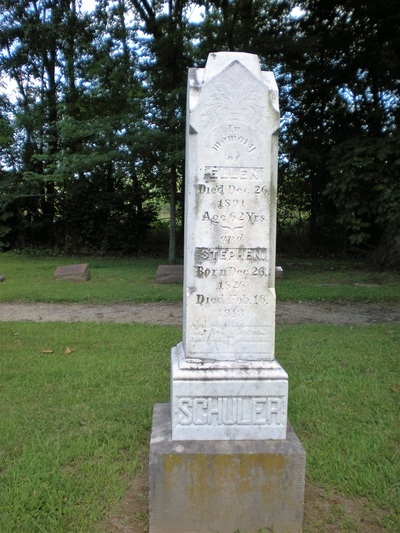 Schuler planned and designed the landscaping at the Pewee Valley Cemetery and kept the cemetery books from 1872 until 1907. He was paid for his work in cemetery plots. He is also credited with suggesting the planting of some of Pewee Valley's more unusual trees. Kentucky Adjutant General Jesse Scott Lindsay (August 18, 1901-July 9, 1996) and his wife Virginia Moreman Lindsay. Lindsay joined the Kentucky National Guard in 1922 and served as state quartermaster and executive officer for then-Adjutant General Henry H. Denhardt. Gov. Lawrence Wetherby appointed him adjutant general for the Kentucky National Guard in 1951 and he served in that position until 1955. He received the National Guard Distinguished Service Medal in 1953. He was also Director of the Pewee Valley Cemetery Board. 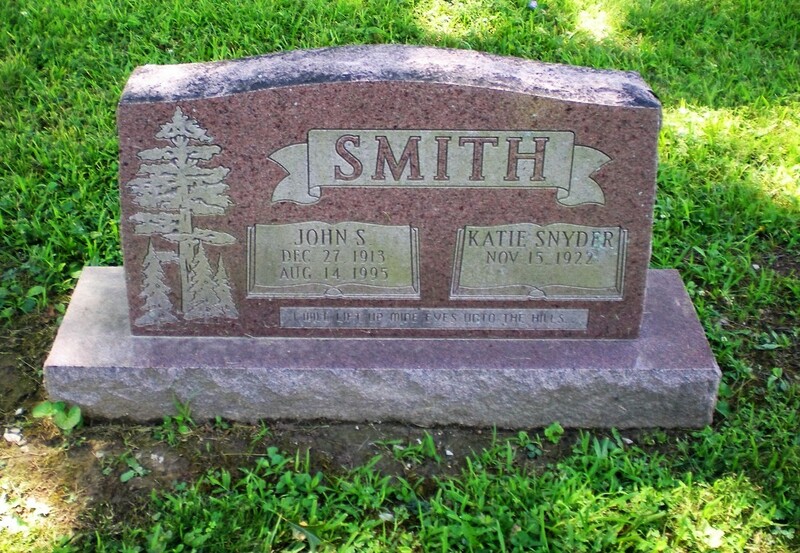 Katie Snyder Smith (Nov. 15, 1922- June 14, 2004), who wrote and self-published the first history of Pewee Valley in 1974, "Pewee Valley: Land of the Little Colonel" for Kentucky's Bicentennial and was appointed our first town historian. 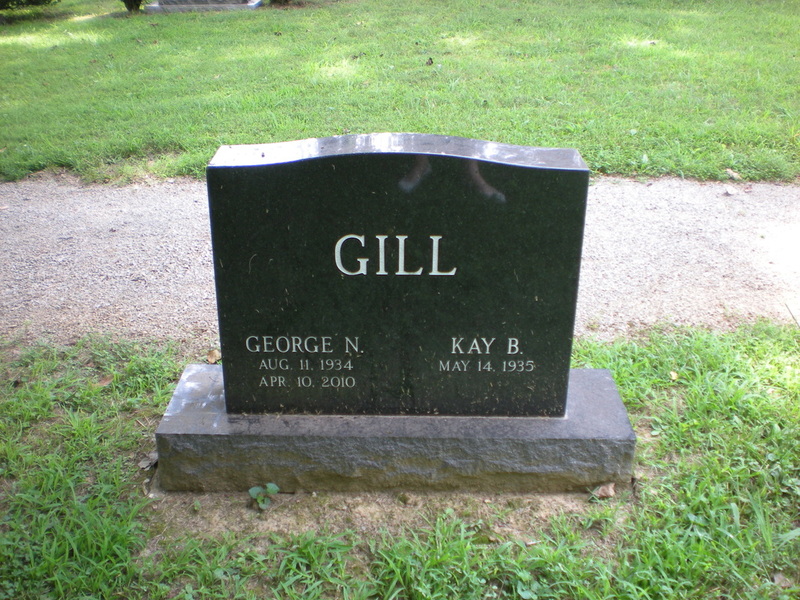 George Norman Gill (August 11, 1934-April 10, 2010), a 33-year veteran of the Courier-Journal and Louisville Times. He worked his way up from reporter to CEO of the Bingham Companies, which at one time included WHAS radio and TV and Standard Gravure printing in addition to the morning and evening newspapers. In July 1986, when the papers were purchased by Gannett, he was appointed President and Publisher until he retired in 1993. ..."We clipped one of Polly's wings," Mrs. Jacob continued. "But she went all over the house and grounds anyway. She would fly into the apple tree, sit there all day, and sing to herself 'Lawdy, lawdy, I'm so happy -- Oh, Lawdy, I'm so happy.'" Polly was never in her cage and her favorite diversion was to ride around from the stables to the house in the carriage. Eric. the Burges' gardener, would hitch up the carriage when Mrs. Burge called to him, "Eric, hitch up the carriage." Polly learned to say it, too. She could screech, "Eric, hitch up the carriage!" Eric would drop what he was doing, hitch up and Polly would fly to the front seat. Eric would drive around. "Here is your carriage, Mrs. Burge," he would say. "But I didn't tell you. Eric," she would answer. "Yes, you did, Mrs. Burge," he would say, and Polly would cackle and laugh! Monte Guess -- described as "the boy slayer" and "the most dangerous inmate" ever locked up at the State Penitentiary in Eddyville -- was never a resident of Pewee Valley, though he may have skulked through town during one of his escapes from Lakeland Asylum in Anchorage. 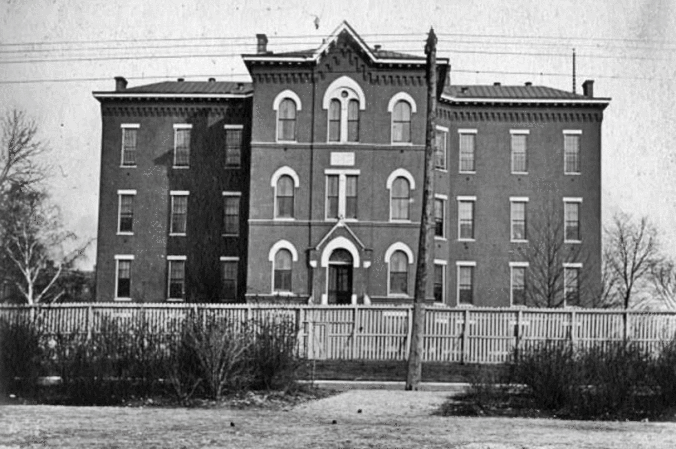 The scene of Guess's first murder: the Louisville Industrial School of Reform, once located on what is now the University of Louisville's Belknap campus. It was demolished in 1925. ... The defendant at first seemed to be confused and professed inability to answer the questions. He soon said he remembered the chief incidents of the tragedy at the School of Reform, denying he attacked Ormes with the idea of escaping from the institution. He maintained that Ormes had struck him with sticks and paddles and had threatened to "beat the life out of him" if he did not lie down upon the bed, and gave the impression that his purpose was "to get even." He admitted he attacked the instructor while the latter was sleeping and after beating him to insensibility, appropriated the clothes of his victim, took the key from his pocket, and told the other boys if they wanted to get away to come on. When they declined, he admitted, he locked them in. He would not say he ran away, but maintained that he just walked. When asked why he told the officers when he was arrested on the Eighteenth street road next morning "If I'd had a gun, you wouldn't have got me," he said. "They just kept asking me." Photos of Monte Guess from the September 19, 1916 Courier-Journal. His mother also testified at the hearing, noting that her son "...always had a violent temper, was destructive, cruel to pets and threatened to kill his sister." ​Guess was found competent to stand trial and was sentenced to 15 years in the State Reformatory at Frankfort. Though the judge could have granted him clemency, he did not on the advice of physicians, who diagnosed him as "naturally vicious" and a "criminal imbecile, probably without anything more than a 'verbal' conception of right and wrong," "no idea of social restraint..." and no remorse. Today, Guess would probably be considered a psychopath. While at the State Reformatory, he escaped twice and on November 29, 1921, he and Clifford Quinlan -- another prisoner he had escaped with -- were transferred to the Kentucky State Penitentiary at Eddyville. Even a maximum security prison couldn't hold him. Within less than two months, he and another prisoner escaped and remained at large for 36 hours. It was the first of many more escape attempts during his time in the pen. 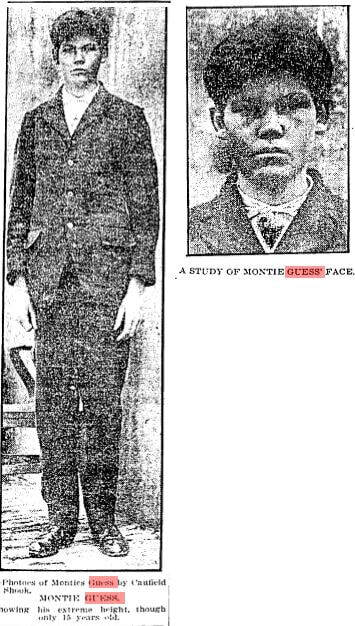 On March 17, 1922, Guess committed his second murder by stabbing Quinlan in the jugular vein with a knife made from a file during a fight on the stairs leading to the penitentiary's machine shop. In 1932, Guess was deemed criminally insane and committed to the maximum security ward at Lakeland Asylum (now Central State Hospital) in Anchorage. He escaped from Lakeland at least three times -- once in July, 1955, when he was found in a nearby field after two days at large; once in August, 1963, when he was captured after a day; and once in 1964. ​He died there on March 29, 1974 at the age of 77. 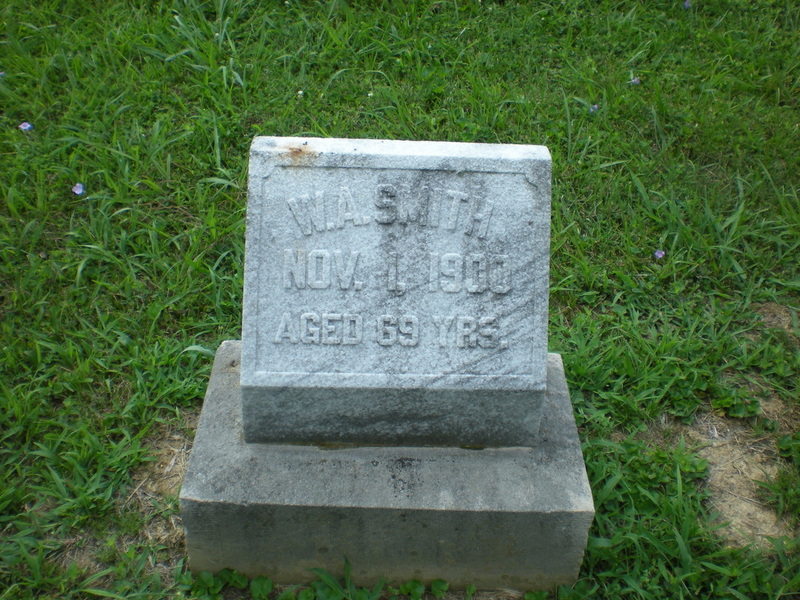 The state paid for his burial plot, interment and marker at Pewee Valley Cemetery. 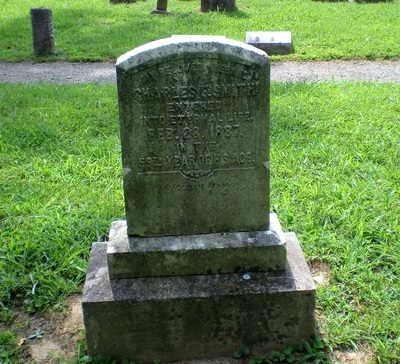 To search for people buried in Pewee Valley Cemetery or Pewee Valley Cemetery East, go to the Oldham County Graves Index compiled by the Oldham County Historical Society. 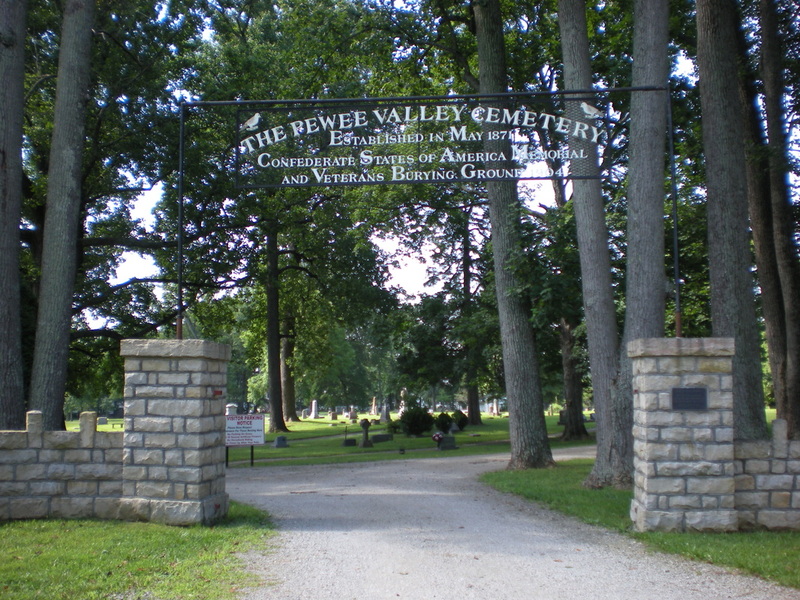 Pewee Valley Cemetery and Pewee Valley Cemetery East are cemetery 148 in the index. September 2017 ArcGIS view of Pewee Valley Cemetery (bottom) and Pewee Valley Cemetery East. 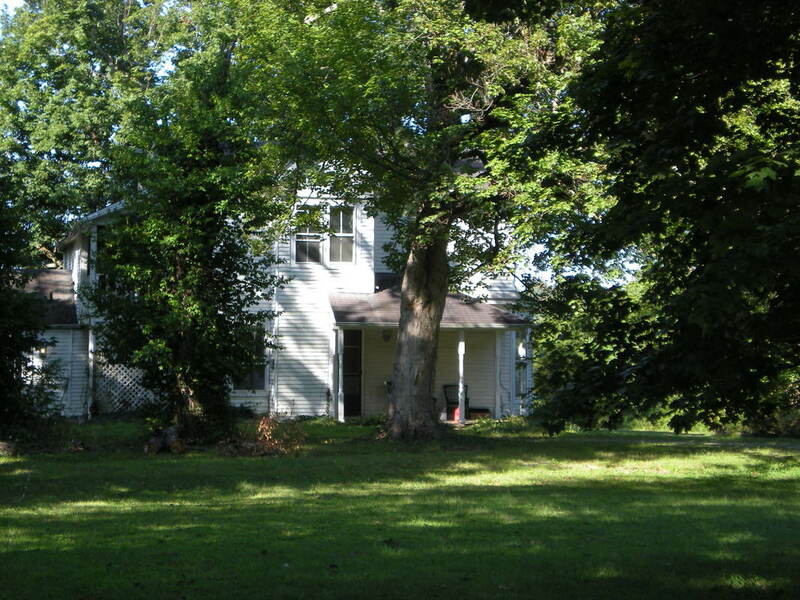 Samuel Curle's farmhouse is located on the property marked 25-00-00-64. Courtesy of the Oldham County GIS Consortium.